Home > News > Is Your MRO Costing More Than You Think? Is Your MRO Costing More Than You Think? 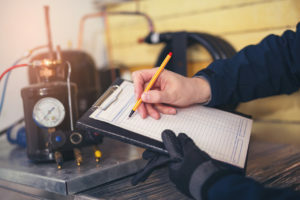 Maintenance Repair and Operating (MRO) supplies are a necessity for many organizations, yet the cost incurred can spread well beyond an item’s initial price point. MRO expenses often are misunderstood and not well managed within an organization and the true costs related to processing and holding MROs can be 2-3 times what appears on a supplier’s invoice. But keeping a mindful eye on the inherent costs linked to MRO procurement can help mitigate expenditures. An MRO’s hard cost is the delivered purchase value of an item, which includes the piece’s price, delivery costs, sales tax, and accessorial charges (such as fuel surcharges, hazardous material charges, rental fees, etc.). There is a continuum of approaches that can be used, depending on your organization’s resource availability. The procurement department commonly approaches this area as a linear pricing exercise which has the pitfalls of benchmarking against previous costs, instead of the marketplace or supplier capacities. This is often done on a local site basis, as opposed to considering the aggregate MRO profile of the organization on a sub-category level to identify the best suppliers with resources to address all the hidden costs of MRO. This approach often focuses on the top items purchased without consideration of the complete spend profile. GL account designations often restrict the purchases that can be leveraged, which leaves you at a disadvantage in the marketplace. Optimally, resources should be focused on the suppliers that can support your requirements instead of the internal GL account charge off. Once the fully available 12-month spend and associated suppliers are identified, the suppliers AP payable history should be matched to the GL account charges for a reasonable dollar match. Once the spends are aligned, compile the line item purchases associated with each supplier into a database. Items should be sub-categorized by the scope of suppliers and aggregated to create your profile. At this point, you can go to the marketplace with your service requirements. Typical procurement process costs include those commonly found in every organizations’ procure-to-pay cycle. This can include: need identification, requisitioning, shopping market by end user and/or procurement department, approval process, purchase order processes, order confirmation tracking, internal distribution and assignment to store area, inventory system updates, invoice processing, cost accounting, and accounts payable management, etc. The right suppliers will be interested in points of differentiation aside from price alone. Many will offer to consolidate periodic billing to reduce back-end process costs. Some can reduce delivery costs by aggregating daily orders from multiple users prior to shipping. Additionally, EDI, web-enabled ordering, shipper pack barcoding, and electronic payment options help streamline costs. MRO usage control can contribute to costs and may vary from free issuance to supervised approval depending on the organization. MRO stores in many manufacturing facilities are relegated to facility areas that are removed from points of use. Thus, end users often create “safety stocks” closer to their work domicile. This situation creates more inventory than is needed for the organization since the same items are stored throughout the facility by multiple users with no visibility. Mapping current MRO disbursements to end use consumption and attaching activity based costing to disbursements should be the first step. Consider selecting the MRO items with higher level of disbursement frequency as a start. This will lead to optimizing satellite POU location alignment to end use consumption. At this point, determine what level of issuance control should be employed for all MRO stores to be used. Inventory management software systems can be employed to better understand and control use by increasing visibility of issuances, setting end user limits, and cost allocating to job and line use. MRO items not immediately consumed generate carrying costs related to inventory responsibilities (organizing, counting, labeling, etc.) and require accounting maintenance. The financial downside of carrying MRO inventory is lost ROI that could be deployed as capital. Under vendor-managed inventory programs (VMI) a suite of services may be available to reduce the inventory carrying costs. Vendor inventory management software is frequently available to you as a customer where; protocols, organization of stock, min/max reordering, and controls are implemented. Additionally, software can be integrated with your ERP and predictive maintenance systems to assure needed MRO items are in inventory and easily accessible. Most organizations’ store rooms only see 20-40 percent of the items inventoried ever used annually. An organization does not realize any ROI in dead MRO inventory that is most likely decreasing in value and takes up valuable real estate collecting dust. Further, the organization still invests in the above inventory carry costs for these items regularly. The first step is to reduce or stop the obsolescence train. Items or parts that are deemed critical should be evaluated for aggregate site access, consignment, or supplier local warehouse inventory. Unnecessary items still in their original undamaged packaging should be returned to suppliers, if possible. Once new suppliers are implemented and remaining obsolete items are identified and catalogued, such items should be earmarked for liquidation. While the true cost of MRO maintenance encompasses much more than the initial price, monitoring your associated costs and leveraging the services from the right suppliers can help streamline this necessary expenditure.